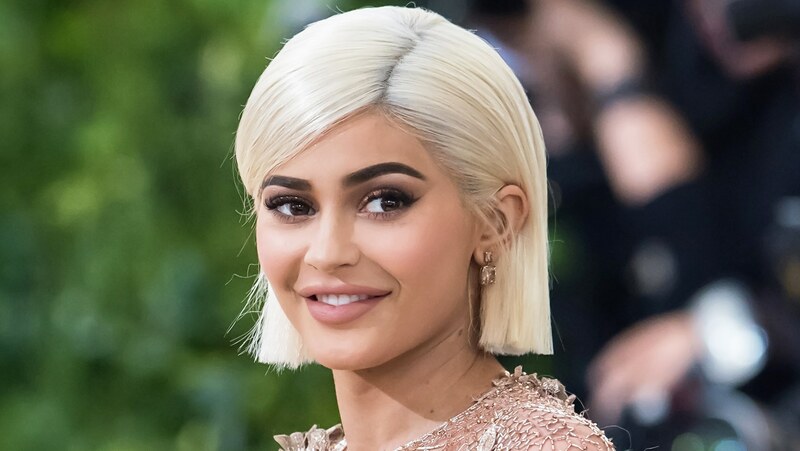 The new mom, who gets by with a little help from her friends — and family and nannies — is already back to work as she prepares to launch her latest collection for Kylie Cosmetics. Jenner just posted photos of herself wearing the new eye shadow and lipstick designs — and shared that the new line is called The Weather Collection because… it was inspired by Stormi. All together now: Awww. According to People, these photos were taken shortly after Stormi’s birth. The Weather Collection launches today on the Kylie Cosmetics website, so it seems this has been quite a busy month for Jenner. The Stormi-inspired collection features two eye palettes, three matte lipsticks, four glitter eye shadows, an eyeliner and a highlighter. Quite a haul for a 3-week-old baby! Between racking up Instagram likes and being the muse for a makeup collection, it looks like Stormi is on track to become a key player in the Kardashian-Jenner family brand. And we’d expect nothing less.